Microsoft Encrypting File System (EFS) is an integral part of Microsoft Windows operating systems that enables users to protect their files against unauthorized access even from those who gain physical access to the hard disk or the computer that contains the encrypted files. Advanced EFS Data Recovery decrypts the protected files, and works in all versions of Windows 2000, XP, 2003, Vista, Windows 7, Windows 8, Windows 8.1, Windows Server 2008, Windows Server 2012. The recovery is still possible even when the system damaged, is not bootable, or when some encryption keys have been tampered with. 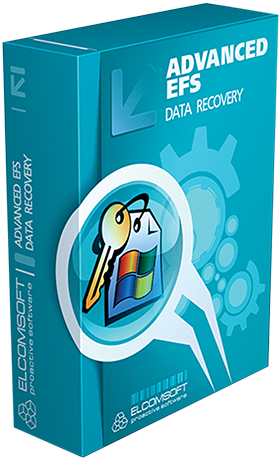 If you need more information please contact the developers of Advanced EFS Data Recovery (ElcomSoft Co. Ltd.), or check out their product website.